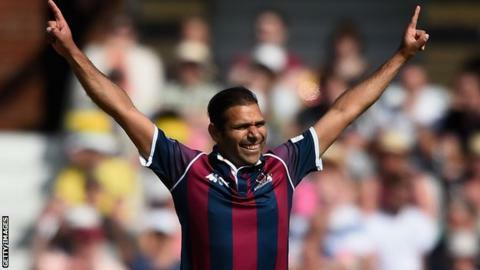 Northants bowler Muhummad Azharullah has signed a new two-year contract to keep him at Wantage Road until 2017. The 31-year-old joined Northants in 2013 after a three-year spell in English league cricket, having previously played first-class cricket in his native Pakistan. Azharullah was named as the Northants players' player of the year in 2014. "He is an integral part of the squad in both forms of cricket," head coach David Ripley told the club website. "That has recently been reflected in awarding Azhar his county cap," he added. "His dynamic performances have been crucial in many of our recent victories and no doubt there will be more to come. "I am very much looking forward to working with him for the rest of the season and on into the future."